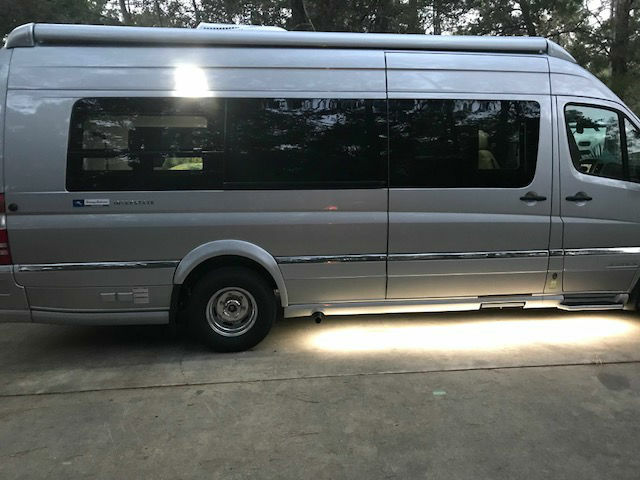 This vehicle also as of February 7, 2019 has head both a Mercedes-Benz “A” service and an oil change of the generator. 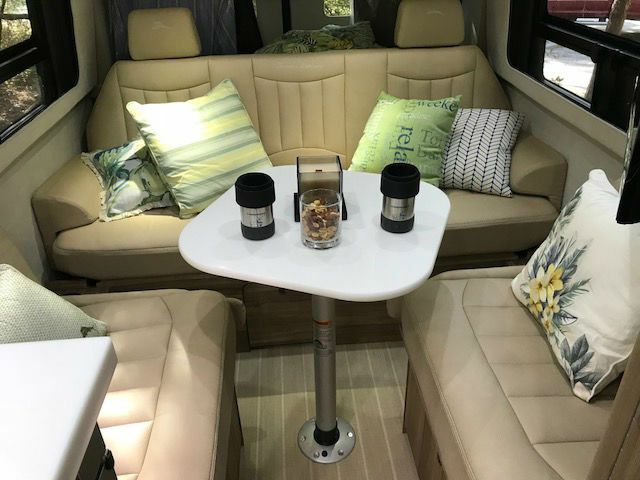 Overview: I am the ONLY owner of this flawless 2018 Airstream Interstate Grand Tour. I am NOT a dealer or broker, this is my baby. There is NO lien and I have free and clear title. The airstream has never been in an accident nor had an insurance claim paid on it. 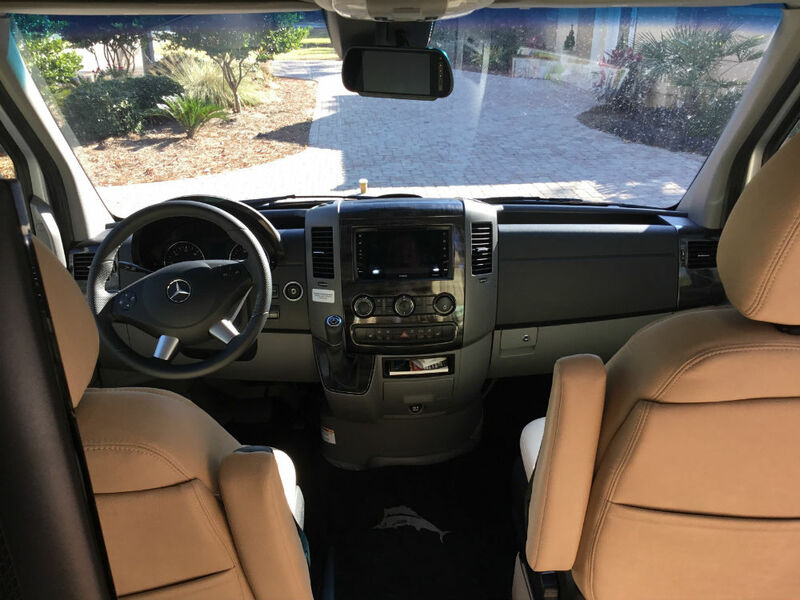 The vehicle options included, but not limited to: Rear Air Suspension option and the Tommy Bahama Package option. I have the original MSRP. It was purchased late November of 2018. I ordered the unit, so it NEVER sat on the dealer’s lot for more then a week. This is very important for both the proper initial maintenance of the battery and reducing flat spots on tires. The Interstate is currently housed in a warehouse for boats and RV’s located in Birmingham, AL. It is trickle charged to maintain proper battery charge and longer lasting battery life. I have extensive YouTube Videos on this unit because it is more then a RV to me, it is my hobby and baby. I am literally CRAZY about my care for my RV. YOU WILL GET THE BENEFIT. 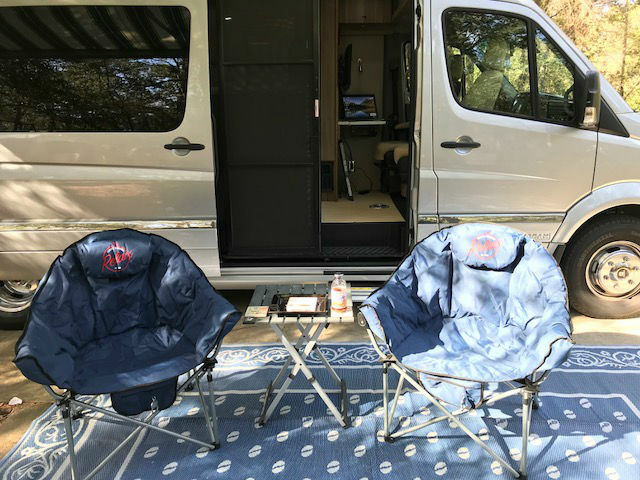 About the Owner/Seller: This Airstream Interstate Grand Tour with rear air suspension and the Tommy Bahama package is the best build, safest, easy to maintain, loaded, best driving and Class B RV motor home on the markets. I literally wrote the book on how to select, order, and properly take delivery of a class â€œBâ€ RV motor home. 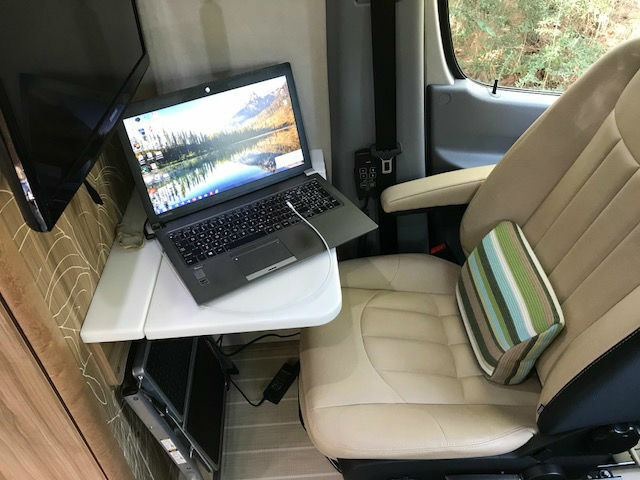 I am on RV blogs, podcasts and RV shows I am known as “The RV Advocate”. I teach folks how to have a professional mutually respectful and stress less ownership experience with their RV dealers. My YouTube collection of “Why I Like It” Video’s teaches folks all about this specific RV. The video’s show what I personally like about this unit and what I don’t. Please remember, I am crazy about RVing, helping others and making an RV lifestyle fun. I am just a guy that loves Airstream Interstates. Gas Mileage: 18 to 21 mpg. Safety Feature by Mercedes Benz: Very few third-party safety features with Airstream. 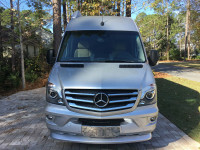 This is a key advantage because maintenance and repair are done by your local Mercedes Benz Sprinter dealer not a third-party vender two states over. Also, and more importantly, Airstream is the only convertor that selects ALL the Mercedes Benz safety features. Cost more yet who does it better then Mercedes. Special NOTE, the suspension system is based NOT on a commercial Sprinter but on a consumer usage Sprinter. I drove them ALL. It makes a huge difference. 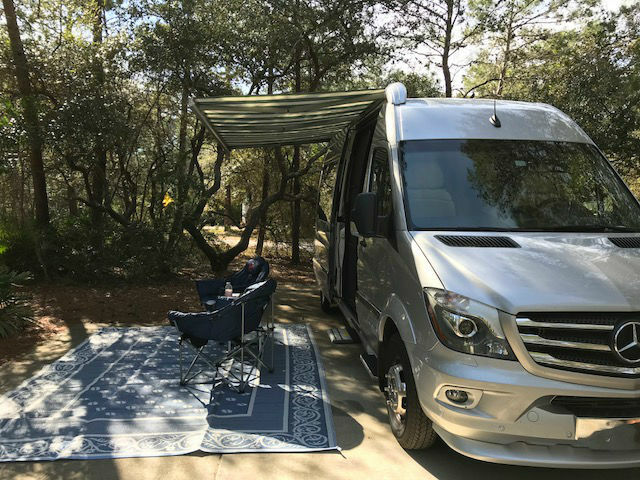 Warranty: The Airstream conversion and the Mercedes-Benz chassis are warrantied for 3 years or 50,000 miles whichever comes first. The in-service date for this vehicle was November 2018. That means you have 2 years of factory warranty left. Rear Air Suspension: I will NEVER buy a class â€œBâ€ motor coach without Rear Air suspension. The who join is for my wife or family to sit in the back while I am driving, watching streaming HBO and not get banged around and bounced all over. This option is worth every penny. 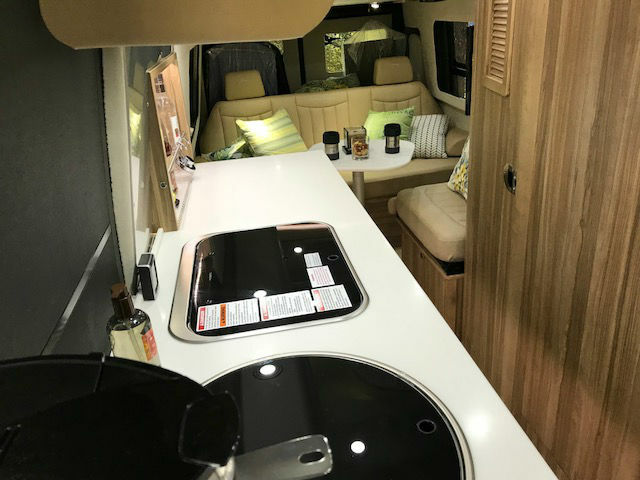 Tommy Bahama Package: Special awning, built-in bar, special counter tops, special seating, candles, glasses, comforter, sheets, towels, chairs, cork-screws, soaps, pillows, wooden remote controlled electrical blinds, and the list goes own. ALL Tommy Bahama Brand and all color coordinated. Again, WORTH EVERY PENNY. Super Easy Setup/Take Down: When you want to leave home, just leave. My check-list is less than five minutes. Parking the unit with all the digital cameraâ€™s in you RV resort spot, is beyond easy. I am set up in a RV spot completely in seven minutes. Want to go to dinner, you can be ready to live in 5 minutes flat. The best part is easy to get parking spots, so you DON’T NEED A TOW VEHICLE. Audio/Video System: Two (2) Samsung LED Mounted TVâ€™s, High-Speakers through-out. Dash board monitor touch-screen powered by Fusion. A HDMI 4X4 remote controlled switcher box. Did I lose you here? This means I have the option of 4 inputs. Inputs are things like: Blu-Ray Player, Sony Play Station, Apple TV, Mounted Sat, ECT. Four Outputs means I can have four TVâ€™s all watching different things at the same time. Home Office: I setup front Laptop desk using the front Samsung LED monitor as my enlarged computer screen and my AT&T MiFi to have a Wi-Fi internet zone throughout the unit. Very comfortable and very private. Home Theater: The internet at most RV resorts are awful. So, my AT&T MiFi allows me to use an Apple TV streaming services. Now all my TVâ€™s get everything from Direct TV digital to HBO. No sat needed, all wireless internet. Endless Hot Water: This was New for 2018. No hot water tank. 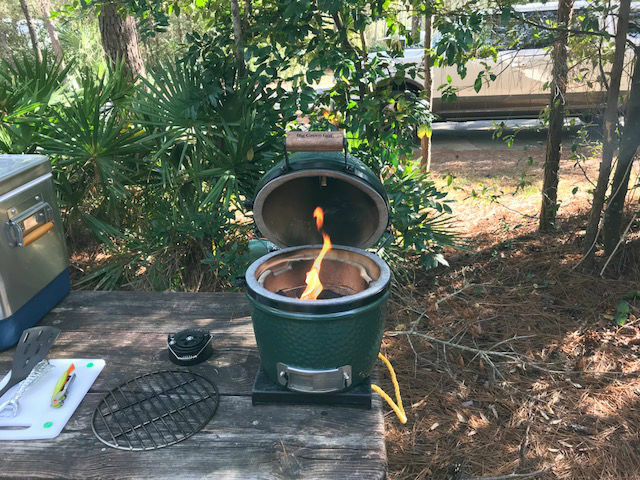 It has a propane endless hot water unit like luxury homes have. This means complete hot showers for as long as you want. 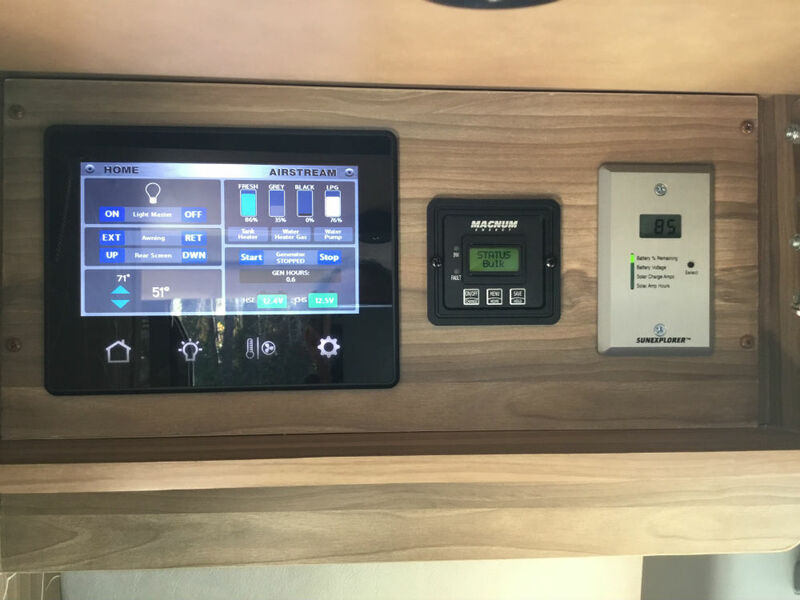 Touch Screens and New Wiring: New for 2018, Airstream reduced the wires connecting everything in half. This means half the problems. They eliminated all the crazy number of on/off switches touch-screens that are super easy and client-friendly. Even my wife can use it!!!! Macerator: No more, huge smelly hoses taking up much needed storage space. A power tube and a macerator come out and retract in the size of the unit. Easy maintenance that is quick also. Awning that is Support-less: Again, new for 2018. The awning is one of the larges of all class B motor coaches. All controlled by a touch screen. When you extend it, you are done. No support arms needed. 15 seconds in or out. If a gust of wind hits the extended awning, it automatically retracts. This unit has a Tommy Bahama special awning which is the best looking of all Airstream Interstate options. Finally, you can leave your side sliding door open or closed and it will not affect your awning movement. 1. Save money: You simply CAN’T buy this unit anywhere close to what I am selling for. That is why I donâ€™t negotiate. No haggling from me. If you want to haggle, go to a dealer. 2. All Punch-List Items Handled: I have taken care of all punch-list items. I have correctly updated the Fusion system which in includes your GPS, sat radio, stereo and dash-board video player. 3. Broken in Correctly: From tire pressure to driving properly for the first 1000 miles. This Airstream has been broken in by the book. 4. Super Low Miles: Even the new on the lot now Airstreams have more miles then this gentle driven pre-owned unit does. 5. Product Tour by Me: When I do a product tour, you can record it. It is who to use the unit. You also have all my online YouTube videoâ€™s I produced to help folks just like you. Not professional quality, just tells you what you want to REALLY know. 6. 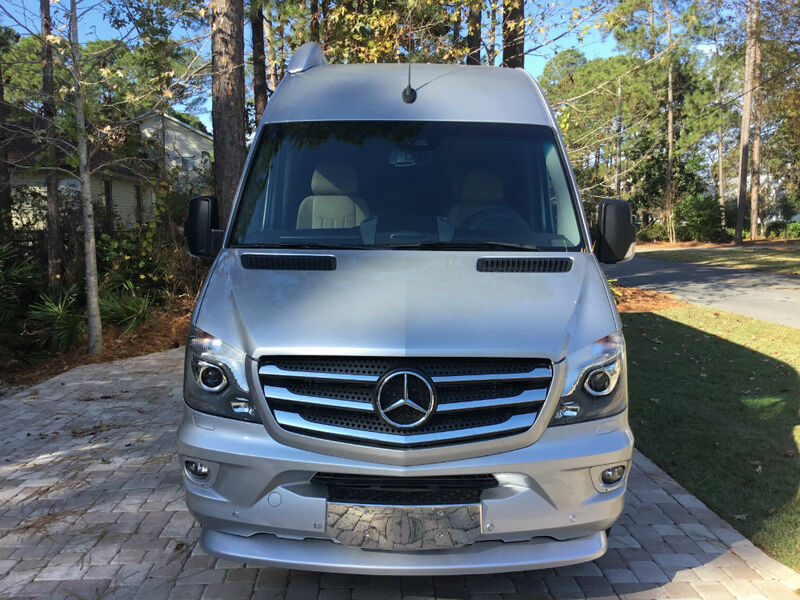 My Maintenance is Flawless: All work done by Airstream dealers or Mercedes-Benz dealerships. I already changed the oil on the generator, the unit has 3800 – 4200 miles. I already plan to change the oil in the engine. Even though Mercedes Benz says 12000 miles. Why, because the oil used by Mercedes Benz to keep your warranty is not strong enough to properly maintain this engine. So, I change the oil every 3500 miles. I told you I did my homework. I had the alignment checked twice because it is the leading cause for tire wear. 7. The Extra’s: You will get all the Tommy Bahama accessories that came with the Tommy Bahama Package. Then comes the extraâ€™s. Tempur-Pedic 3-inch queen mattress toper, all the silverware, knives, plates, RV pans, Clean/Black water hoses, bike rack, and the list goes on. What will you need to buy, NOTHING. Why am I selling this Airstream Interstate: I am buying a new home and will use the money for my down payment. 1. The price is $132,000.00. I am NOT negotiable. The original sticker price was $182,000.00. The extras listed above were over $3,000.00. No dealer in the can even come close to my price and tell you the honest history of this unit except the original buyer. So why buy my unit from a dealer for more money then I am asking????????? 2. I will NOT delivery the vehicle, you must come to Birmingham, AL to see it. All transactions wills be done through Regions Bank. 3. I will not take cash over $10,000.00 due to state and federal laws. 4. I will not sell out of the United States or use pickup services. 5. I have the free and clear title of the vehicle. 6. You must have insurance prior to driving the unit home. 7. Availability Date is immediate, however I will be using the vehicle, so the mileage might change.